ASIA, a progressive art-rock band from the Black Hills, was formed in early 1977. The band was started by Larry Galbraith from Free Flight and Mike English and Mike Coates, who had been members of White Wing, which was inducted into the SDRRHOF in 2016. John Haynes from the band Search was later replaced by Rapid City drummer Doug Johnson. The Black Hills ASIA predated the UK/Geffen band of the same name. ASIA toured the upper Midwest and parts of Canada until early 1984. 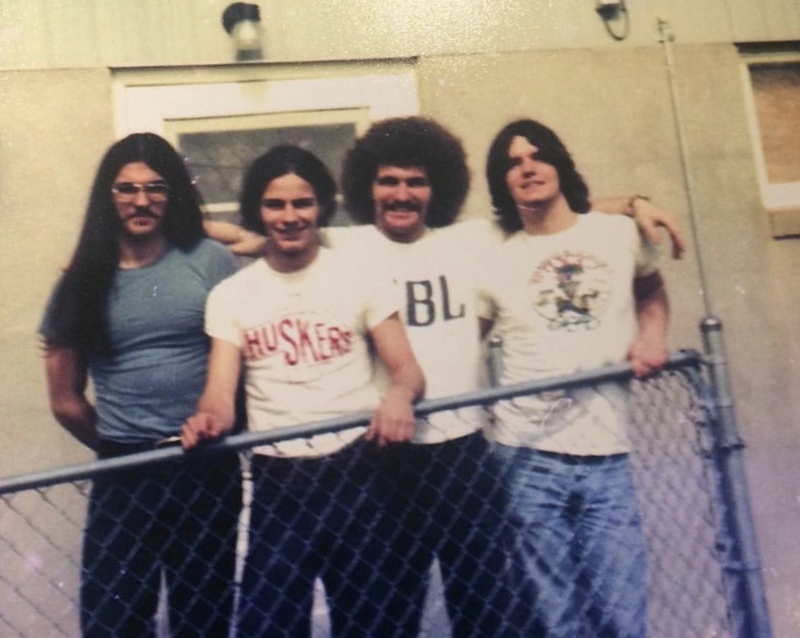 Their manager, Mike Chambers, bought a bar in Rapid City, The Barbarian, that became the base of ASIA’s operations. Larry Galbraith coined the name ASIA, and it stuck because the musicians all loved the mystical, exotic, and expansive implications. ASIA created a more sophisticated art form featuring the band’s considerable vocal and guitar strengths. Reluctant to leave the Black Hills and their families, ASIA concentrated on the club circuit, where album stock was more readily accessible. ASIA recorded two independently released albums, “ASIA” (1979) and “Armed to the Teeth” (1980). The band released two singles, “The Road of Kings” and “Paladin.” The band got extensive airplay from radio stations throughout the Midwest. Album sales, interviews and musical interest continue in U.S. and European markets. English, Coates and Galbraith are still working and recording musicians in the Midwest and Los Angeles areas. Along with their original material and a drive for epic, pomp-filled rock tunes, ASIA played covers of AC/DC, Blackmore’s Rainbow, Captain Beyond and Black Sabbath. Going for a loose, instrumental energy similar to Deep Purple and Led Zeppelin, the band embraced the art rock concept, i.e. a miniature plane crashing on stage, flash pods and explosions. Musically, they challenged their audience with interludes inspired by classical composers, odd time signatures and embellished music theory obscurity. They backed up major touring acts such as Nazareth, Kiss, BTO, REO Speedwagon, Steely Dan, Molly Hatchet, Ted Nugent, Black Oak Arkansas, Tommy Bolin/Zephyr, Alice Cooper, George Thorogood &amp; the Destroyers, Joan Jett &amp; the Blackhearts, Sugar Loaf, Brownsville Station and some artists regionally big at the time: Crow, Frantic, Vixen/Cradle (Suzi Quatro), Flash Cadillac &amp; the Continental Kids, Cornerstone (became Survivor) and the Illinois Speed Press (morphed into Poco). ASIA pushed past conventional boundaries with high emotional content, musical themes expansion, and exquisite harmonies. Its breathtaking solos and hard-charging performances went against the typical party band mentality of the time. ASIA’s musicians consistently complimented and embellished each other’s playing – a virtuosity that wasn’t about showing off but communication at a higher level.